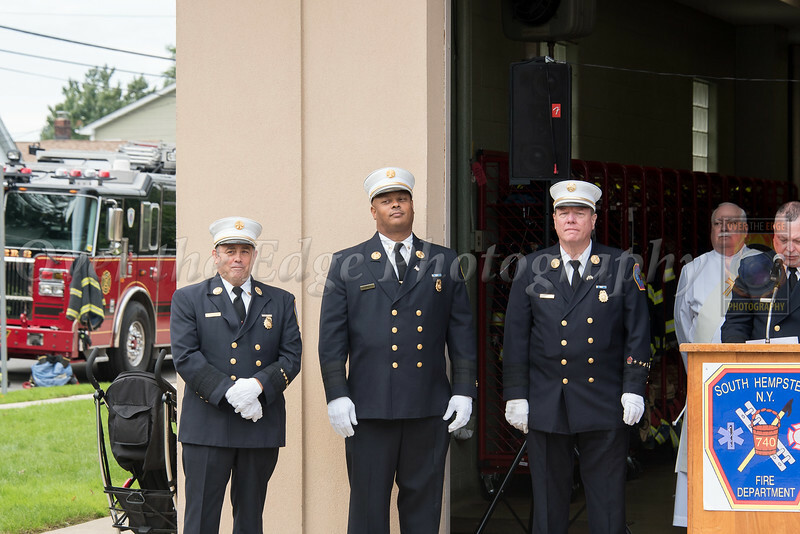 On Sunday October 14th, the South Hempstead Volunteer Fire Department held a dedication ceremony and wetdown of the new Engine 741, a 2018 Rosenbauer Commander. The new 741 replaces a 1990 Pierce Lance Engine which has served the department as the primary Engine for 28 years. The new 741 pays tribute to the 343 FDNY members lost on 9/11 as it is striped with the names of all the firefighters lost, including Joseph Hunter, a member of the South Hempstead Fire Department.